Matt Harrigan is co-founder and CEO of Company, a natural evolution from his role as co-founder and Managing Director of Grand Central Tech, Company’s antecedent accelerator platform established in 2014. 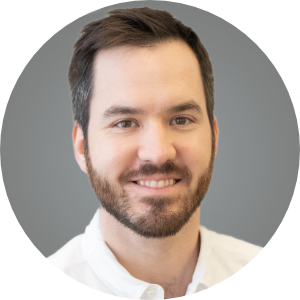 Prior to GCT, Matt worked as a Product Manager at ESPN, where he overhauled product analytics across the full range of their mobile products. Before joining ESPN, Matt sharpened his focus to tech working with the innovation strategy consulting firm, Fahrenheit 212, where he helped Fortune 500 clients identify and bring to market new revenue generating opportunities that leveraged technology. Matt began his career in international development at Booz Allen Hamilton working for USAID and the World Bank in Tanzania primarily. In addition to his role at Company, Matt serves on the boards of: The Advisory Council for NYCx, New York City’s municipal tech engagement program; Women in Tech New York (WiTNY); and the NYC Leadership Council for the Brady Campaign to Prevent Gun Violence.